Listed below are Home appliances items for you to car boot sale online here that you will find available in Birmingham. If you cannot find the Home appliances items that you are looking for in Birmingham you can add your wanted item to let sellers contact you if they have any Home appliances items available for you. You can keep your contact information confidential. Enter only an email address in your car boot sale ad to receive offers into your account on our system. We will remind you automatically when new offers arrive for you. To offer your items for sale on this online car boot sale in Birmingham simply click Post free ads for Home appliances link below or the button Post free ad in top right corner of this page. It is fast, easy and free to post an ad in 2lazy2boot. It will take you just few minutes to have the ad seen on our listings. You can then edit your ads any time by clicking “Member area" button on top right corner of this page. Over 1 00 000 Part time jobs available for FREE. More than 10 000 people are earning good amount of money everymonth. NO REGISTRATION FEE, its free to join. For Details visit : www.rktechservices.co.in. Selling 6 months old Used Pots, Pans, Crock pot, plate, and utensils For £25.00 for the whole SET !!!. Silvercrest Espresso Machine, brand new, never used. - for making speciality coffee and other hot drinks - 15 bar pump pressure - steam switch - power consumption 1100W - dimensions: approx. W20.7 x H31.3 x D27.9cm - 2 filter heads for 1 or 2 cups - suitable for ground coffee and pods Castle Bromwich (B36, ew. Fujifilm FinePix S3300. Highly regarded for its ease-of-use and compact nature, and featuring sought after EVFs, the new addition to the bridge camera line-up has tele-photo capabilities ranging an impressive 26x zoom. 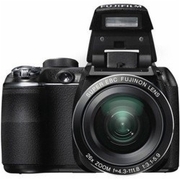 The new Fujifilm FinePix S3300 digital camera boasts a high resolution 14 megapixel CCD, award winning Fujinon optics, 24 mm wide-angle lens, is intuitive and easy to operate and is packed full of useful features and technologies. Well here you go. Good luck with your on line car boot sale in Birmingham. We hope you have some success and find buyers/sellers that you are looking for in Home appliances . Don’ t forget to comment any successes in selling your Home appliances items in Birmingham to our valuation window and report forum! We are sure you will find many people in Birmingham looking for your Home appliances. Birmingham car boot sale. Home appliances for sale ads on online car boot sale in Birmingham, second hand Home appliances for sale in Birmingham, Home appliances ads for free in Birmingham, 2lazy2boot - Birmingham car boot fairs.